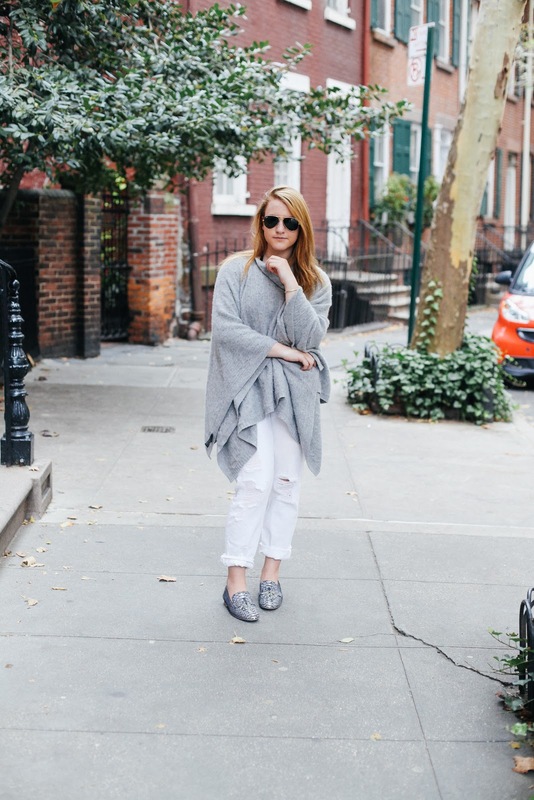 Round two of shades of gray. Taking a different route from yesterday's darker look. 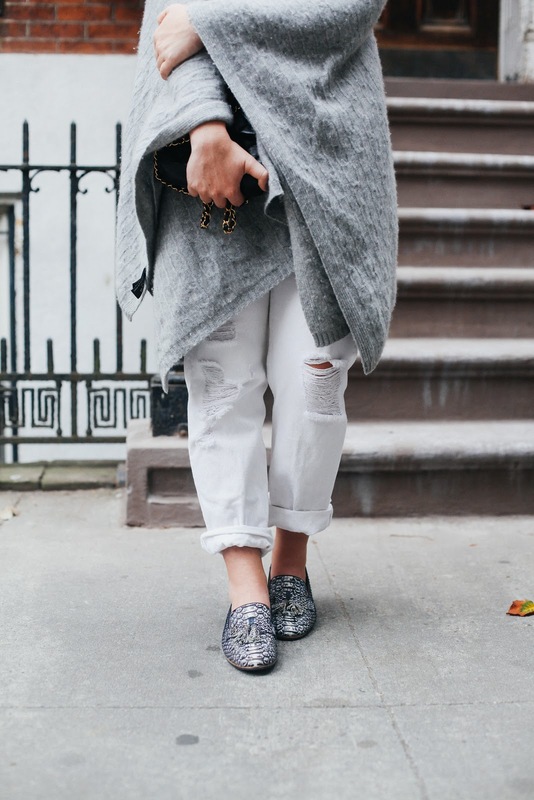 White boyfriend jeans- which are a saving grace- and python skin loafers. 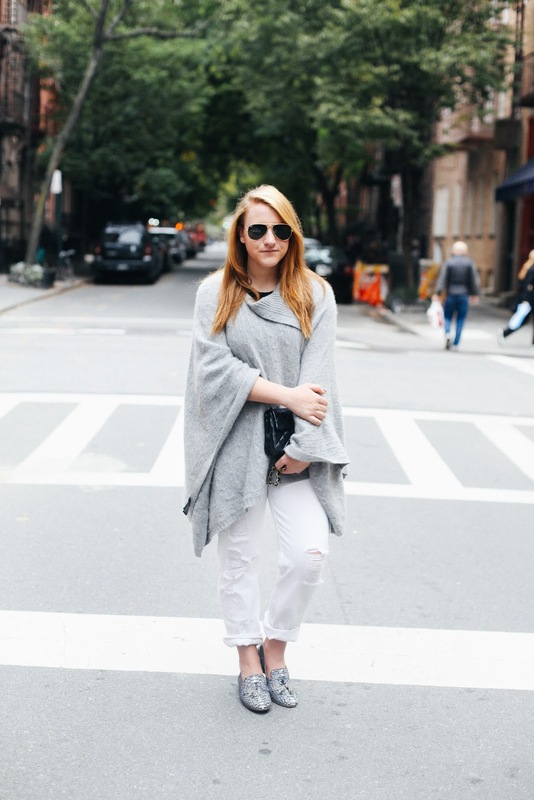 A cashmere poncho is a top notch alternative to vest or lightweight topper. Like my logic from earlier, it's also killing the "wearable blanket" game. Omg!! 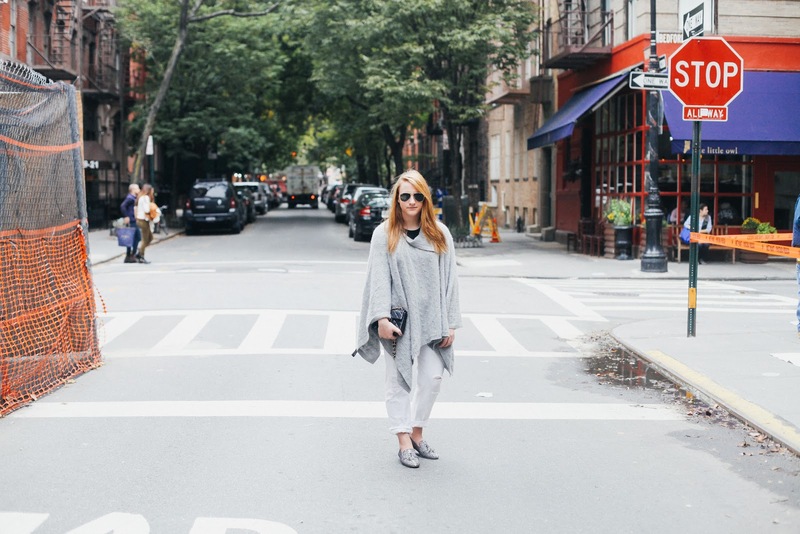 You're poncho is to die for. I love it - looks so comfortable!! I love this look! 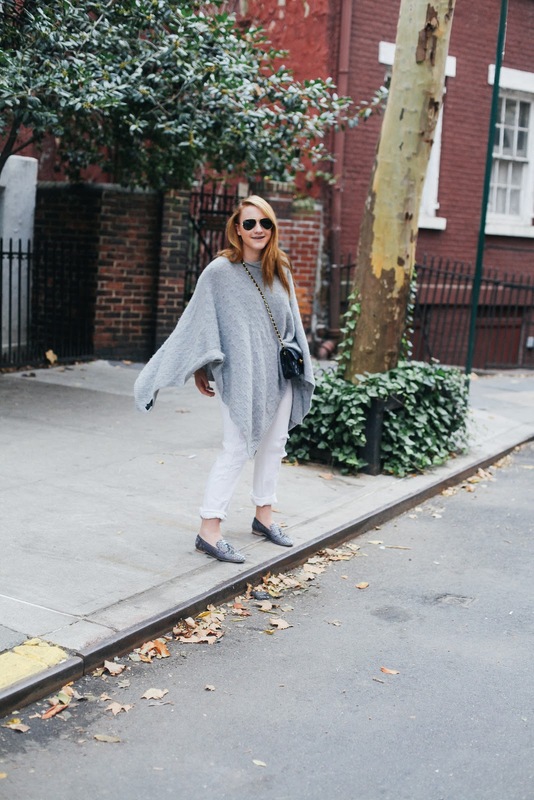 I've been living in my Ann Mashburn cape lately, another great way to wear a blanket!